The municipality does not pick up garbage, yard trimmings or food scraps from multi-unit buildings and businesses. Please speak to your strata, landlord or property manager about the private collection service your building receives, including how to get food-scraps recycling started at your building. Do you live in an apartment, condo or townhouse? If so, recycling couldn't be simpler—three blue carts—and that's it! The District of West Vancouver does not provide food scraps or garbage collection for the majority of apartments, condos and townhouse complexes. 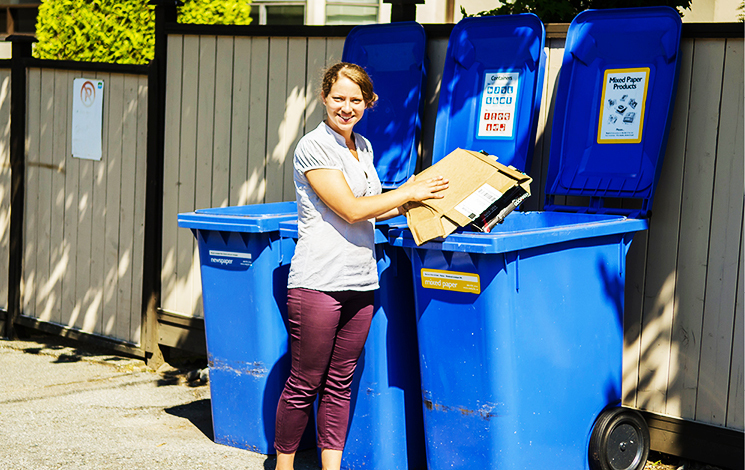 To meet the requirements of Metro Vancouver’s organics disposal ban, property managers are encouraged to contact a private hauler to set up collection. For more information about setting up food scraps collection, please visit Metro Vancouver’s website and use their online toolkit.